Finally, it is the year of the pig. 2019 is set to be a seismic year, with changes that will not only add value to procurement processes, it will also give it a more modern outlook. Technology is enabling the savvy procurement heads to take faster and smarter decisions in strategic sourcing. As a result, they are being perceived as visionaries, creating a world-class procurement organization that’s piggybacking on technology. The price alone won’t be the deal breaker during negotiations. Suppliers will become the strategic partner for the business. People are beginning to understand that low rates should not be achieved at the cost of unethical means. Their compliance with the environment, safety and government regulations, delivery commitment, usage of emerging technologies are some of the parameters that must be considered along with the cost of the goods and services provided. Pertinent questions like “Are your suppliers employing child labour? Are they following proper environmental regulations while dumping hazardous waste outputs?” Many buyers are working towards better ways of engaging with the suppliers more transparently and powerfully. Are the RFQs and RFPs being sent to the vendors via email? Are the vendors reverting by sending the quotations as email attachments? This way of communication is too primitive to enter the Chinese year of the pig. The need of the hour is a best of the breed solutions, that will simplify the buyer-supplier communication but will also digitize the whole sourcing process, from floating RFQs, receiving quotations from the suppliers, negotiations, selection of the supplier, approval, and PO. This would bring a lot of transparency in the system, with added benefits of generating useful analytics on supplier rationalization, and past purchase behavior of the procurement department. Using AI-powered techniques like machine learning, robotics process automation ( RPA ), natural language processing ( NLP), businesses can rapidly analyze spends, match invoice with POs, review and compare contracts, quickly onboard vendors, and streamline the procurement process. Blockchain: Blockchain leverages a distributed-ledger technology that eliminates the need to have a central database to certify records and transactions. And these transactions are stored in such a way that it cannot be tampered with or altered. Though still at a nascent stage, it can significantly impact processes like invoice and contract management. 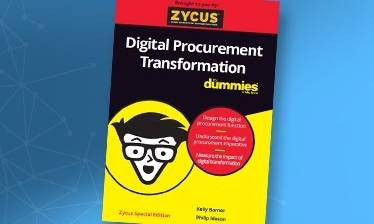 Early positive signs from the implementation of digital technology, (such as RPA and advanced analytics), are already sparking interest in new areas, where procurement can contribute strategic business value. In 2019, technological trends like AI, machine learning, Blockchain will augment existing solutions and deliver smarter insights to procurement. • Is the data truly representative? • Could you use a different analytical approach? Procurement function can become more agile and better able to respond to the demand of the business with advanced analytics. Descriptive, predictive, and prescriptive data helps procurement heads with who’s spending on which category and with which supplier. Analytical insights will empower the procurements head with data to make informed decisions to negotiate better with suppliers. By using commodity, data feeds from third-party sources and integrating with their internal datasets to assign financial risk scores of suppliers and determine, procurement leaders can decide on the possible amount that can be spent with the supplier keeping in mind the risks involved. Having a seamless end-to-end strategic sourcing process which will help procurement function to analyze spend to incubate suppliers under one single platform. ● for RFP: Use the tool to send emails to shortlisted suppliers asking for quotations. ● Create a sourcing event (e-Sourcing): Inform participating suppliers about a sourcing event and carry out the bidding process within the tool–you can also schedule events in different time-zones. ● Analyze and rank suppliers: Analyze bids and get feedback from top management. Enable automated scoring by assigning weights to various questions, depending on their importance asked at the RFI stage. ● Select and incubate supplier: Select suppliers that best match your criteria and award contracts. The critical functions of procurement of helping reduce costs by getting the best prices for quality goods and services will, however, remain unchanged for 2019. The Chinese year of the pig will be more about emerging technologies driving transformation in the procurement function.